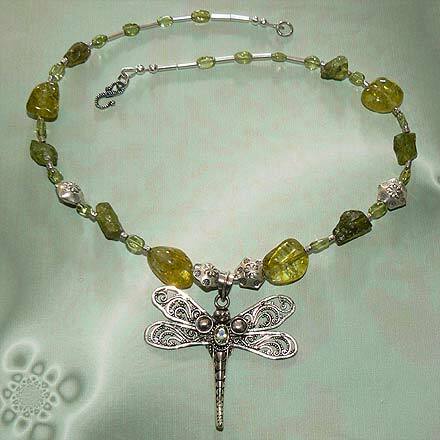 Sterling Silver Peridot Necklace. See Closeup. 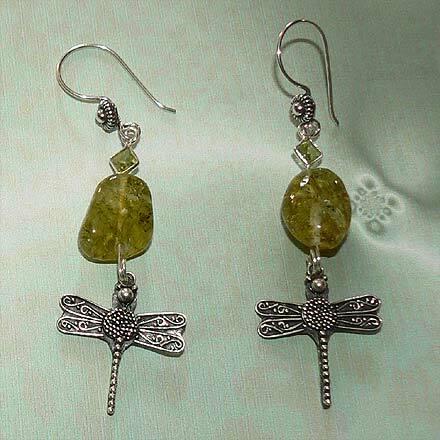 Raw and Tumbled Nuggets of Peridot beads, and dangling dragonfly charms and pendants. 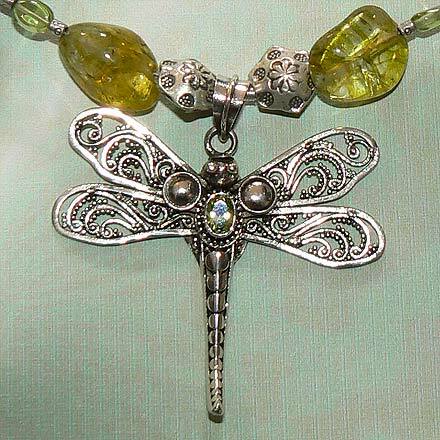 The necklace pendant has a faceted set Peridot stone. 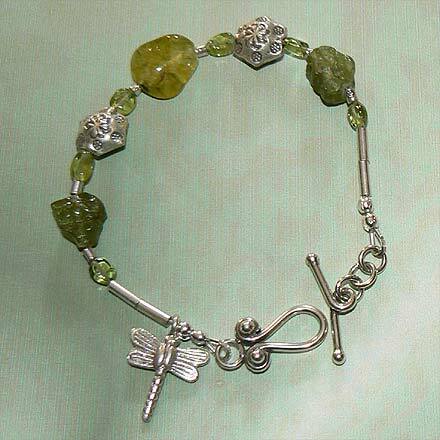 For those who are interested in Astrological significances of stones, Peridot corresponds with Libra and with the month of August.